We have specific expertise within the public sector. Hospitals play a big part in our client group and over many years we have perfected our skills to overcome the unique obstacles the NHS face. "It is vital to perform regular maintenance to ensure the safety of your staff"
As part of the NHS Trust Brighton and Sussex University Hospitals, we are responsible for the security at the Arundel Building. The original installation consisted of a comprehensive CCTV system covering the hospital grounds, Salto automated doors, access control keypad and intercom system to keep the building secure at all times. 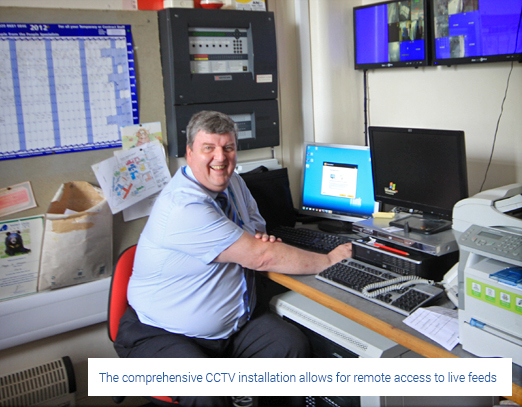 The CCTV system is then monitored and recorded on the premises by the hospital's security manager, accessing the remote feeds for manned surveillance.